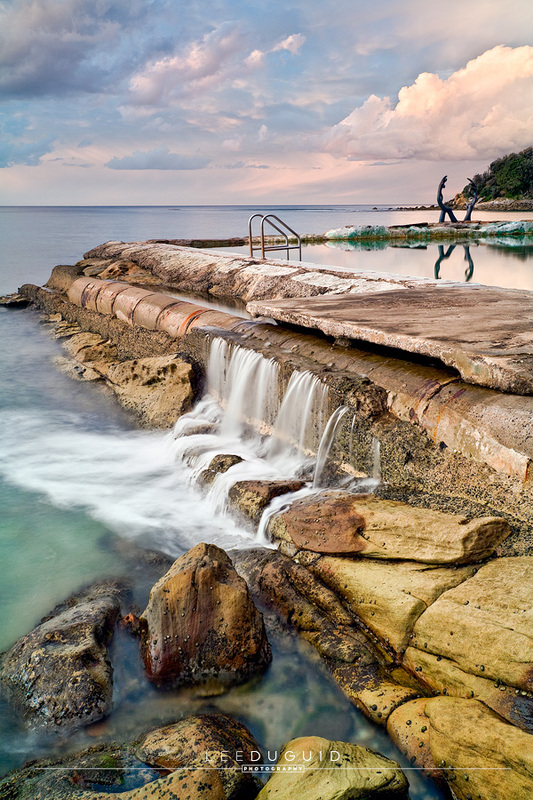 Fairy Bower, Cabbage Tree Bay, Manly, Sydney Iconic to the area this stunning rock pool at Fairy Bower sits between Manly and Shelly beach. Captured on a stormy sunset, the rain filled clouds light up briefly before the downpour. The Oceanids at the head of the pool reflect in the still water and the overflow appears silky with the long exposure.